Are you looking for the absolute best hostels in Ljubljana Slovenia? You’ve come to the right place. 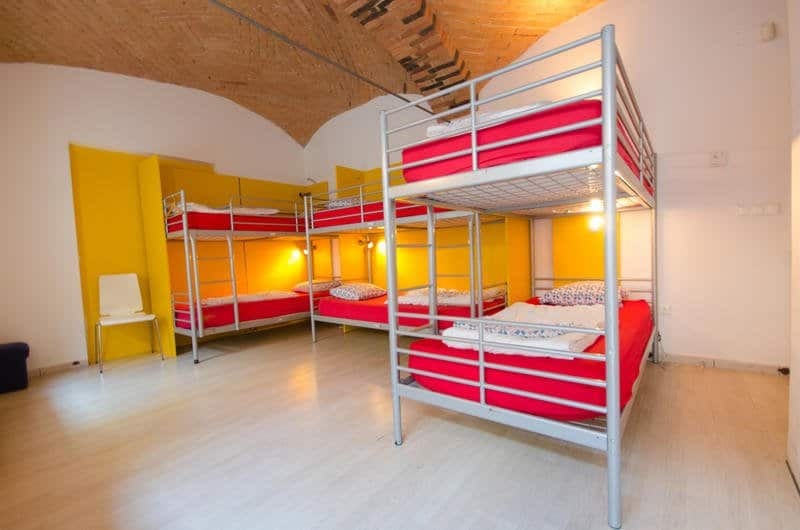 While there are quite a bit to pick from not every Ljubljana hostel is created equal. Ljubljana [pronounced: lyoo-BLYAH-nah] is the the capital of Slovenia, a country that should be on everyone’s list of European destinations. Slovenia is dope, y’all. And often overlooked, which is quite unfortunate. Anyone who loves verdant natural beauty will have a great time in Slovenia. Named Europe’s Green Capital of 2016, Ljubljana has the same calm aura as the rest of the country possesses, and a fair share of its green lushness as well. For of all its quaint historical beauty Ljubljana is NOT the most budget friendly capital city in Central Europe. Hotels, Airbnb rentals, and hostels are all a little higher in cost than you might expect. 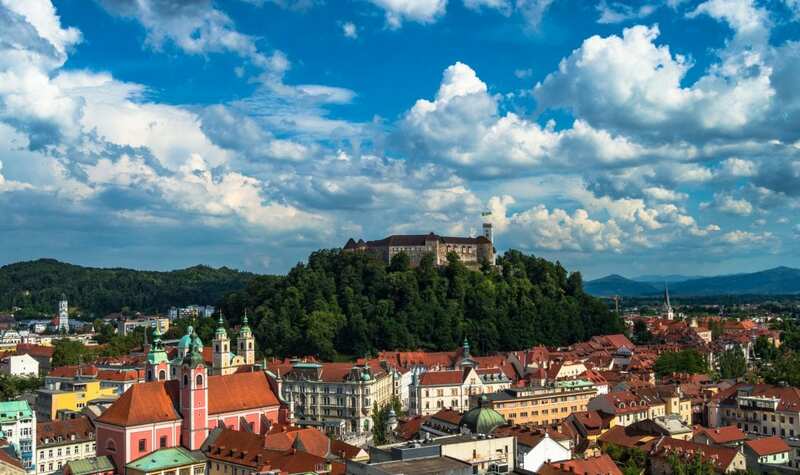 If you are backpacking or traveling on a shoestring budget in Europe and want to visit Slovenia then your best best, especially if traveling alone or as a two-some, is to stay in a hostel. Why Stay in on of the best hostels in Ljubljana? Hostels have more to offer than just cheap dorm beds. The best hostels in Ljubljana will feel like a cozy little home away from home. You should feel comfortable and secure in your hostel of choice. Staying in hostels is a great way to meet other travelers as well, and the best hostels will have a pleasant staff and inclusive common area. All of this is super important if you want to be social while traveling, of course. With all of this in mind we visited a whole bunch of hostels while staying in Ljubljana in 2016. 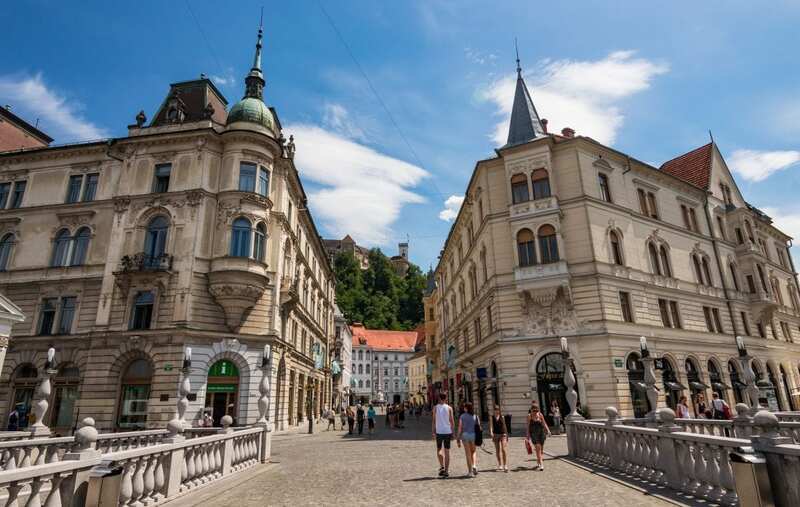 We stayed in the city for two weeks and put together this nifty guide to the best-est and greatest hostels in Ljubljana. Hostel Vrba, (which means willow tree in Slovenian) is located in a green little corner of Ljubljana’s Old Town, right near the Ljubljanica river walk. Hostel Vbra offers a great atmosphere for travelers of all ages, and is run by some of the friendliest staff members that you are likely to ever encounter. Definitely one of the nicest places to pick from among all Ljubljana hostels. Vrba offers a variety of room options, from a female only dorm, mixed dorms, and private double rooms. The hostel has a small kitchen where you can prepare simple to complex meals and a cozy common area to chill and chat with other travelers. Dorm beds are comfortable, and every bunk has a power outlet and a locker to stash your luggage. WiFi is available throughout the building. Lack of onsite bar makes Vrba a quiet hostel for those who prefer to avoid loud party hostels, but it is within a five minute walk of some of the coolest bars in the Old Town. All of this combine to make Vrba one of the most pleasant and best hostels in Ljubljana. For reviews or more info about Hostel Vrba, head to Booking.com or Hostelworld. Located a 5 to 10 minute walk from the center, Hostel Vila Veselova is quaint, cozy, comfortable, and relatively relaxed. 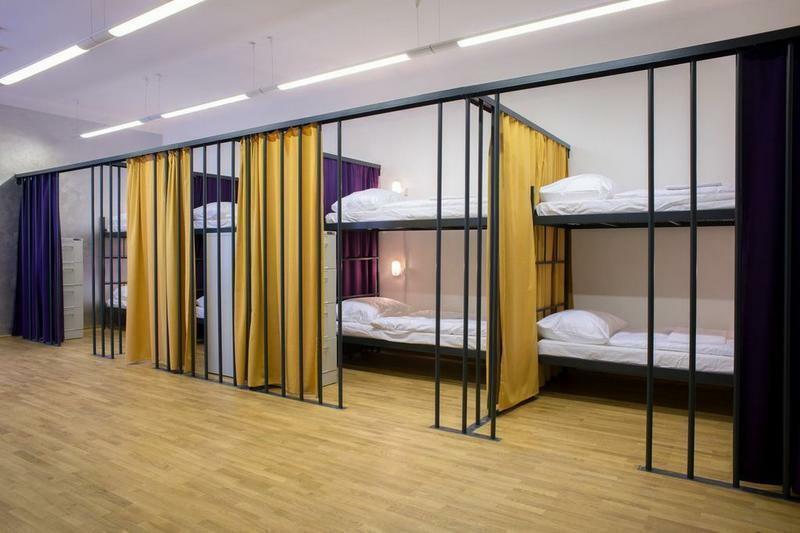 Super clean and spacious dorms come equipped with personal power outlets and reading lamps in this Ljubljana hostel, as well as lockers for all guests. Large bathrooms are a big plus, and the kitchen isn’t so bad either. Hostel Veselova offers a modest breakfast free of charge, and provides its guests with free tea and coffee. Not too shabby. 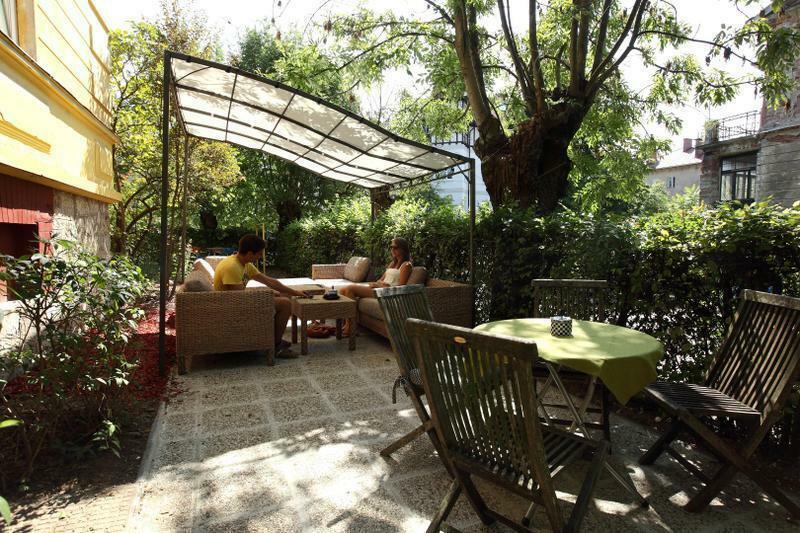 Coupled with free WiFi all of the above factors make Vila Veselova one of the best hostels in Ljubljana, in our eyes. If you are looking for a clean and comfortable Ljubljana hostel we reckon you should give Veselova a shot. For reviews or more info on the Vila Veselova, head to Booking.com or Hostelworld. Located a five minute walk from the main bus and train terminal in Ljubljana, Hostel Zeppelin is very convenient for anyone getting into town late. 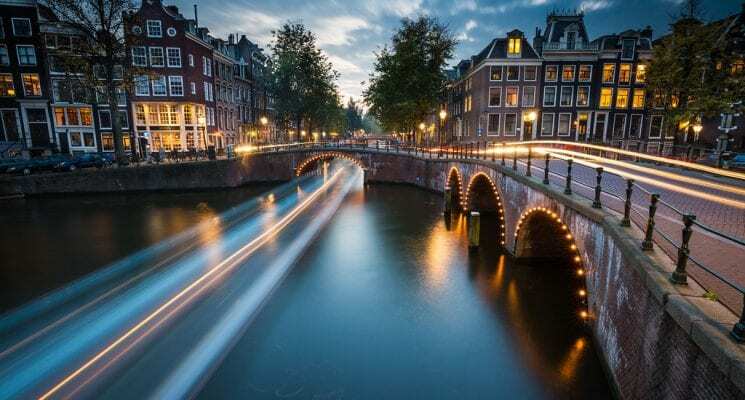 Its location also puts Zeppelin near a few inexpensive bars and restaurants, and within a few hundred meters of multiple public bicycle rental stands. This Ljubljana hostel is small, cozy, and chilled out. The staff makes an effort to engage guests and give them handy advice, which is always great and makes for a good atmosphere. A modest breakfast (toast and cereal, basically) is provided for free, which is cool if you are on a super tight budget. Dorm beds all have their individual power outlets, reading lamps, and lockers to secure your luggage. The bathrooms are clean, the kitchen is perfectly functional, and you should be able to get a decent price on a dorm bed here. All this makes Hostel Zeppelin one of the best hostels in Ljubljana and a very good choice for anyone wanting a comfy chilled out hostel to call home while visiting Ljubljana. 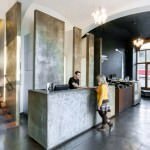 For reviews or more info about the Zeppelin Hostel, head to Booking.com or Hostelworld. Hostel Tresor is right smack in the middle of Ljubljana’s Old Town, which is a blessing or a burden depending on your outlook. The hostel sits directly above a Spar shop which we found to be the best supermarket in Ljubljana, especially for people wanting to buy healthy, vegan, or vegetarian food. The river is a few steps away, as are all the sites in the center of the city. However, its location also puts Tresor across from a couple of loud bars, making it less than ideal for backpackers and budget travelers to rest their heads while in their Ljubljana hostels. The dorm room situation at Hostel Tresor is a little weird, with no individual lockers and no safety rails for top bunks. If you toss and turn a lot in your sleep make sure you book a bottom bunk if staying in a dorm here. On the plus side meeting other travelers should be very easy if you stay in Hostel Tresor during peak season. 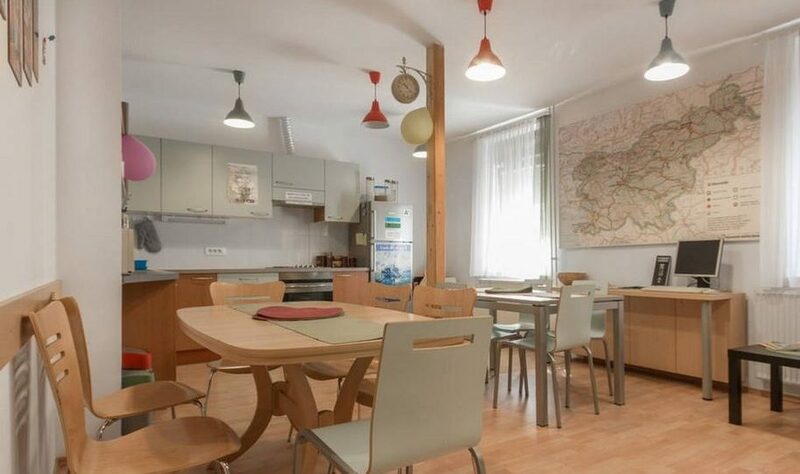 If you are looking for a lively hostel situated as close to the center as you can get and you don’t mind some potential noise this is one of the best hostels in Ljubljana. For reviews to to book your stay at Hostel Tresor, head to Booking.com or Hostelworld. Located a 15 minute walk to the center (much faster if you rent one of the city’s free public bicycles), Hostel Tivoli is located right next to Tivoli Park and a ice skating rink. This recently opened Ljubljana hostel is small and cozy with a friendly staff who put on super fun theme nights for guests. Let’s just say the hostel’s chocked full of chill vibes and the chances of meeting people here are pretty good so it’s definitely one of the best hostels in Ljubljana. Dorm beds come complete with bedside reading lights and electrical sockets so you’ll never have to worry about finding a place to charge your phone overnight. The one draw back about this hostel is the smallish kitchen with only has a two burner stove. For reviews to to book your stay at Hostel Tivoli, head to Booking.com or Hostelworld. 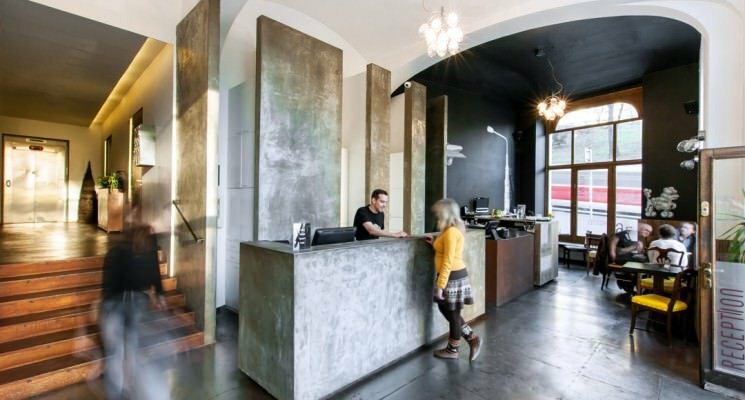 If you’re the kind of traveler who is on a tiny budget or gets turned on by saving every buck possible, H2O Hostel in Ljubljana is the place for you. 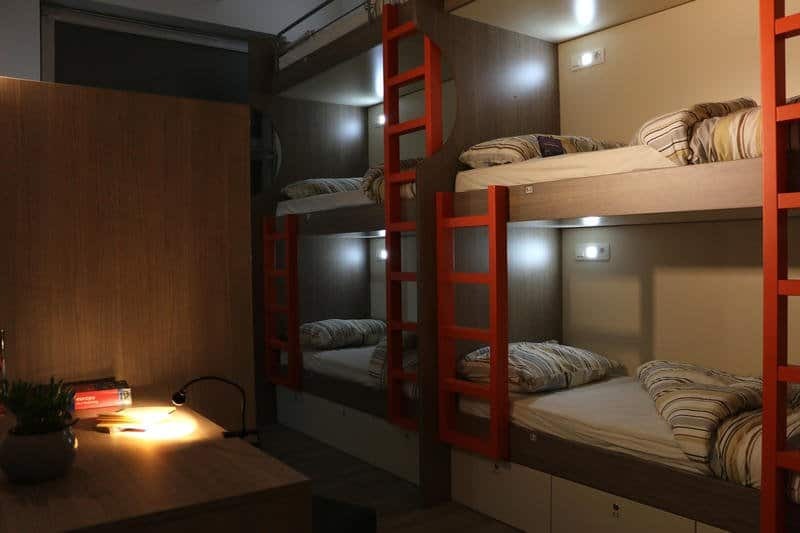 This Ljubljana hostel’s dorm rooms come equipped with individual bed lights, and lockers. Two of them even have a kitchen in the room. There is also a kitchen in the reception area if you happen to be in the dorm room without one. Additionally H2O hostel has four private rooms with shared bathrooms, three of which are doubles and one is a triple. They include table and chair, a refrigerator, safe, and a flat screen TV. So if you’re looking for a comfortable and cheap hostel for a couple of days that’s close to the center of town, H2O is the place for you! For reviews to to book your stay at H20 Hostels, head to Booking.com or Hostelworld. 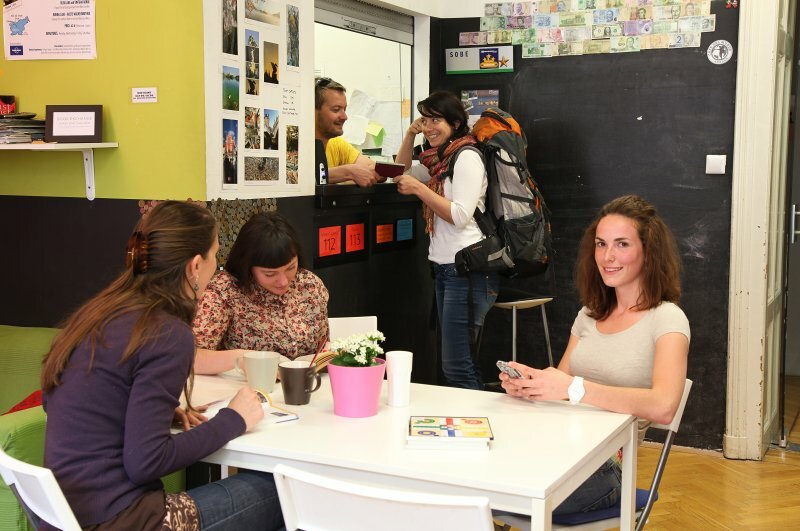 Want more budget friendly Ljubljana hostels? Get the best rates at HostelWorld! So there you have it guys, our list of the best hostels in Ljubljana. 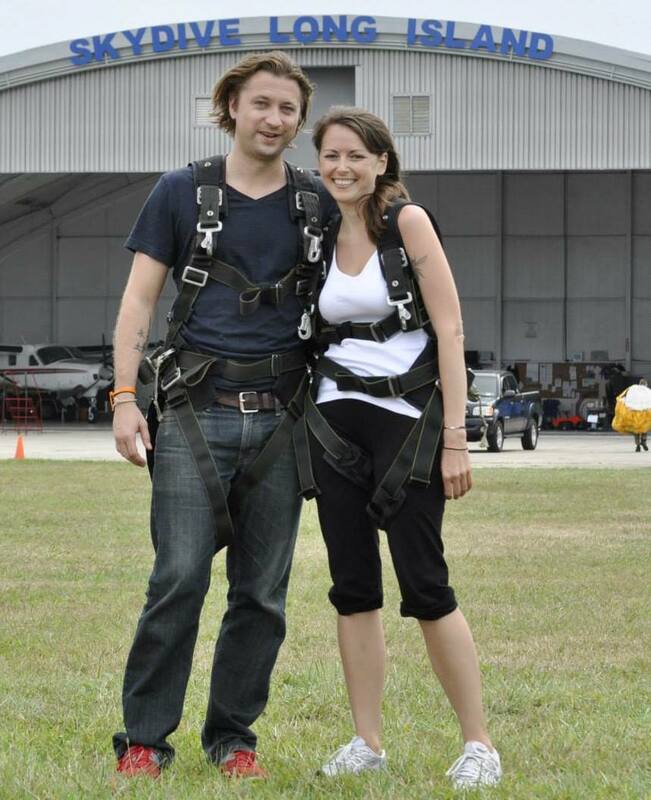 We hope you enjoy your visit to Slovenia’s capital as much as we did! As always happy travels and we’ll see you on the road!